To say that my year on the #ExperienceBuick project flew by would be an understatement, that ‘time flies when you’re having fun’ saying exists for a reason! When I decided to join the initiative, I really didn’t know what to expect, but what I experienced was a gift. First and foremost, I met an amazing group of bloggers who I know I will continue to be friends with for many years to come. Then, the Buick marketing team who made the year happened and led us on our journey, were fantastic to work with and treated us exceptionally well. They were another extension of the Buick brand, one that knows that people’s lives are a mosaic of interests, that there isn’t just one dimension of pleasure that completes us (although somehow food comes close!). Therefore our year was not just about Buick the car, but rather the intersection of Buick with its customers and prospects’ lives. 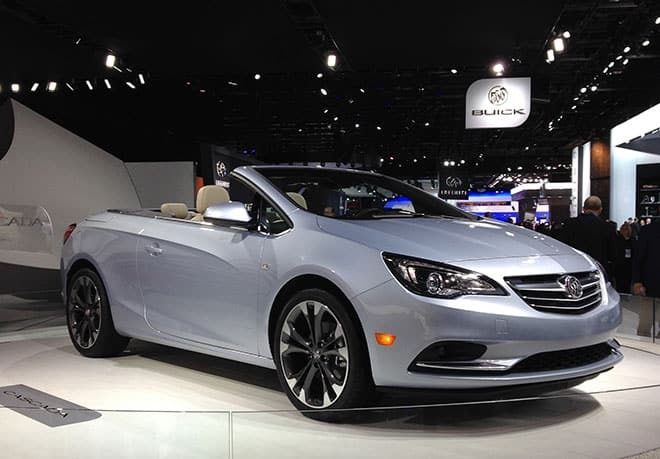 We may have bookended our year with car shows starting with the announcement of the new Cascada luxury convertible (which I can’t wait to test drive in early 2016) and Avenir concept car at the North American International Auto Show in Detroit. And finishing with the LA Auto Show with the unveiling of the all new LaCrosse which introduces the Avenir’s design language into the flagship LaCrosse. Plus the return of the tri-color insignia. But the year was not just about cars. It was much more than that. Most memorably was my introduction to Detroit, a city I had no interest in or plans to ever visit. Now I am trying to figure when I can get there again! Detroit is going through an amazing Renaissance just like the Buick brand. It’s not just #ThatsABuick it’s also #YesDetroit! Then there was food! 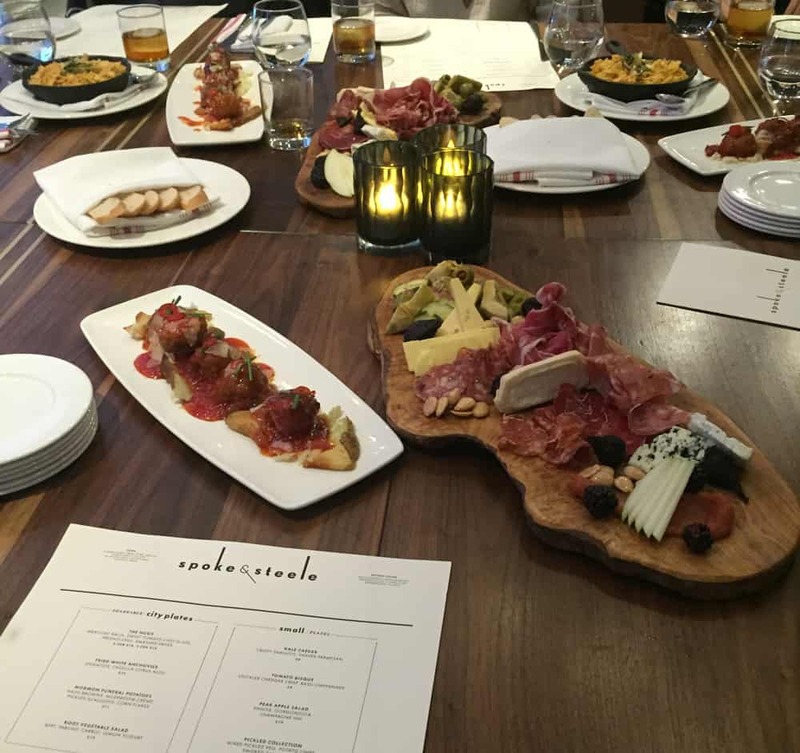 Despite the #Experience Buick bloggers being from a variety of niches and geographical locations, food was a common bond that united us all. And cuisine is an essential pillar of Buick’s brand which was demonstrated by their sponsorship of the New York City Wine and Food Festival. Their own designers are inspired by cuisine with colors like toasted coconut! 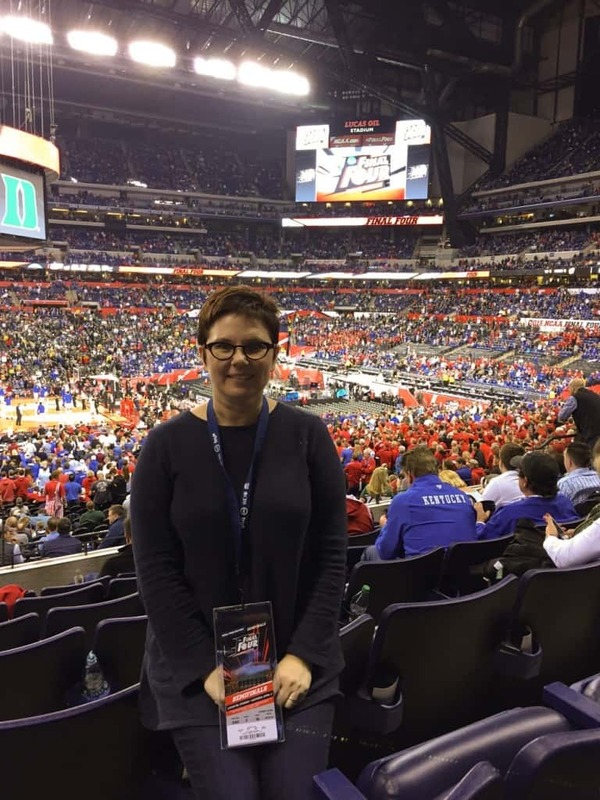 Another area where Buick expressed their commitment to excellence and where the demonstrate their understanding of their audience is in their efforts of support NCAA sports and I still pinch myself when I think about my weekend in Indy for the NCAA basketball finals. 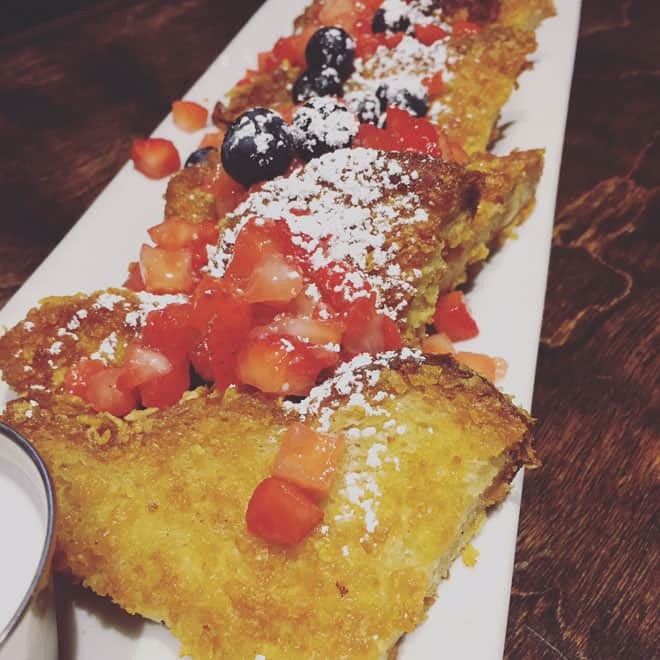 I found friends, fine food and very unexpectedly a reminder of my own pursuit of happiness. The 24-hour of Happiness event to announce Buick’s new 24-hour test drive program was the impetus to recommit to happiness and the ultimate ability for Mr. Misadventures and I to very quickly decide we wanted some freedom and a little more adventure. I want to thank Buick for inviting me to #ExperienceBuick. Buick is a brand founded on its sedans. There are three bars in its emblem which represent the three sedans that were available when Buick launched its brand. Of course now they have added two great crossovers to the line-up the Encore (which I test drove in July) and the Enclave which I rode in many times for our Buick events. But at its core are really great sedans. 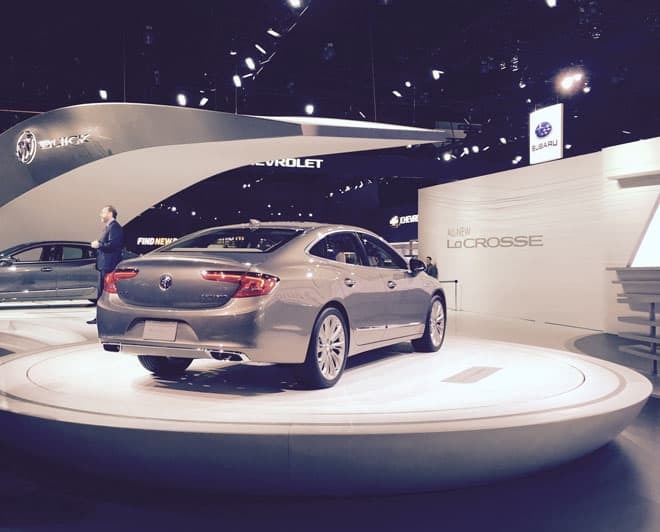 Last week we met for a final time in Los Angeles for the LA Auto show and with our press passes I was able to see the new La Crosse (plus the gorgeous Cascada again) before the show was open to the public. I am really excited because when I get back to Phoenix I’m going to drive one for a few days. It may not be the new one, but it won’t matter as the LaCrosse is the premier sedan in Buicks line-up so I know its going to be luxurious (it will be a nice break from the Jeep I have been driving around in as the hubby and I prep for our trip!). 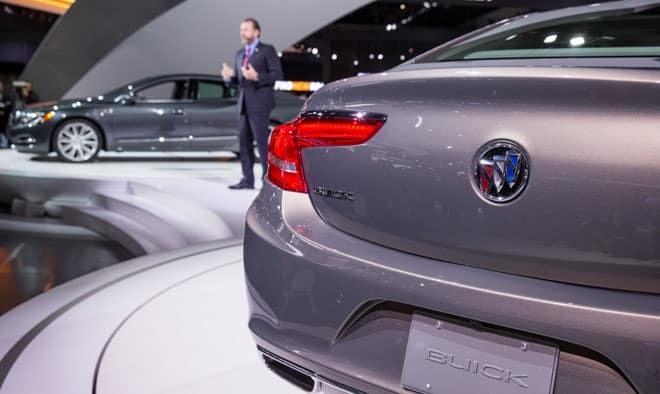 Buick has definitely changed my opinion about their brand, their cars and their city and I encourage you to explore their line the next time you are considering a vehicle purchase. Thank you Buick for inviting me to the LA Auto Show and for sponsoring my trip to Los Angeles. Despite the compensation, all opinions – as always, are my own. How about you? 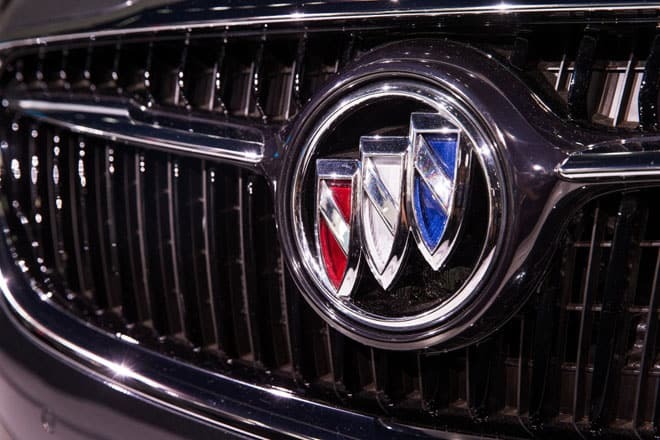 Has my journey to #ExperienceBuick put this American car manufacturer on your radar? Though I drive a Nissan, my mom just got her third straight Buick Enclave, and I absolutely love that car (as does she…clearly!). Wow, this looks like an amazing trip. What a wonderful experience with Buick. Can’t wait to read your review and am really impressed with how Buick treated you and your new blogging friends. Wow, what a fun looking event 🙂 I love checking out new car models. The new Buick looks sleek! Whooo! I am glad you had a great time! Your photos say it all. I have a friend who drives Buick and I always hear good feedback from him. I think Buick is among the best car brands in the world. I have been intrigued by Buick in the last few years! A friend has one, and it is so comfortable and almost luxurious in the inside! 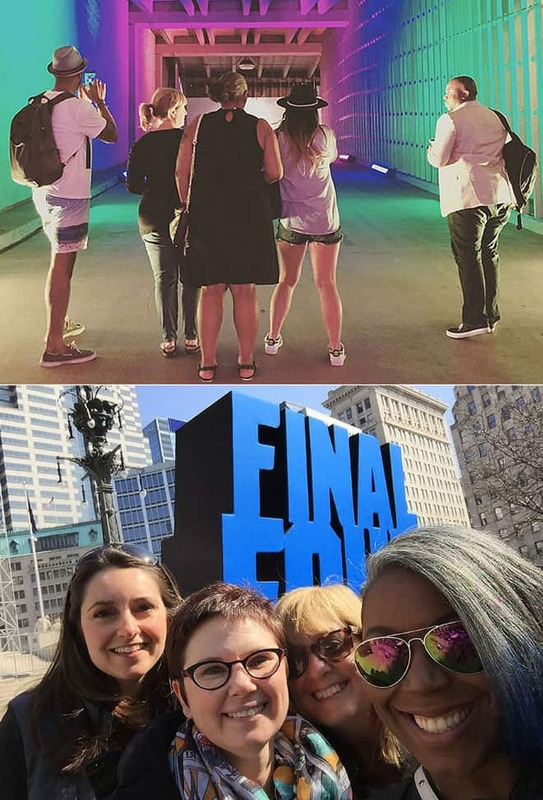 I’ve never been to Detroit, I think I have a lot of preconceived notions, but I am glad to hear the city is having a Renaissance and coming back! I remember my grandpa used to drive a buick. Seeing them now, it’s a far cry from the “old people’s car” I used to call it lol. They look amazing and the luxurious feel is great. I have a friend who has a new Buick and once I took a ride with her, my childhood opinion was gone. Great cars! I love these cars – my mom bought nothing but Buick as I was growing up. They are nice looking, VERY roomy, and dependable. Thanks for the post! I had a really bad Buick back in 1970’s. Totally turned me off of the entire brand. I, however, really like the new models and the style. I am going to have to give them another chance. Thanks for opening up my eyes (and my mind too). I love cars! And this event sounds so much fun! Honestly before reading this I often associated Buick with older people. I always envisioned a little old lady driving a Buick. However, reading this article and viewing your photos I have now realized that Buick is not for the old. I loved the convertible. I think it’s awesome that you had the chance to meet new people and have such an amazing experience. Thank you for sharing. And who knows maybe I will consider a Buick when I go car shopping. That car looks great, but the food! Yum! Looks like you had a great time.